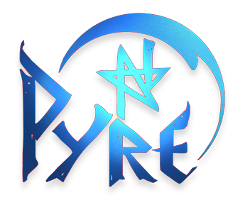 Pyre: The Board Game(Unofficial) is a Print & Play game I created for my CSC140 course. The game is simply replicating the Rites within the game Pyre as best as possible in a physical format. Using a unique round system, so both players take their turns simulateously with hand motions, etc. it uses some very unique mechanics to get someone enthralled in the Pyre universe. Feel free to leave feedback, and I always appreciate constructive criticism as well! Download the .docx file, read through the instructions and cut out all of the necessary pieces. I would wholly recommend playing a practice round to allow you to get a handle on it, but it is up to you. Douse your opponents pyre to win, and enjoy!